Alexis du Pont High School (Wilmington), "Tigers Den"
School store sells candy, snacks, beverages, spirit novelties, and apparel items. 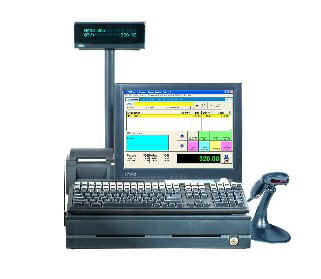 1-POS Station. 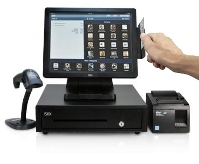 Touch-Monitor POS with rear Customer Marketing Monitor. Caeser Rodney High School (Camden), "The Rider Zone"
Christiana High School (Newark), "Viking School Store"
Milford High School (Milford), "Buck Sales & Service"
Smyrna High School (Smyrna), "The Eagle Outlet"
Sussex Tech. High School (Georgetown), "School Store"
Sussex Tech. High School (Georgetown), "Ticket & Photo"